For the 30th time in TJC history, Dr. M.R. Khosrowshahi will be guiding a trip through Greece to explore the land and the archeological and biblical journeys of ancient times. The trip will begin shortly before Spring Break, and gives you the choice of either a 10, 11, or 12-day travel/study. The 10 and 11-day study will both begin on March 8, and the 11-day journey will end on the 18th. The 12-day program will depart on March 7 and ends on the 18th. This trip is open to the public, and in the past has included students, faculty and other members of the community. Last year, 16 students took this trip, all of which received a scholarship offered by the program of at least $1,000. 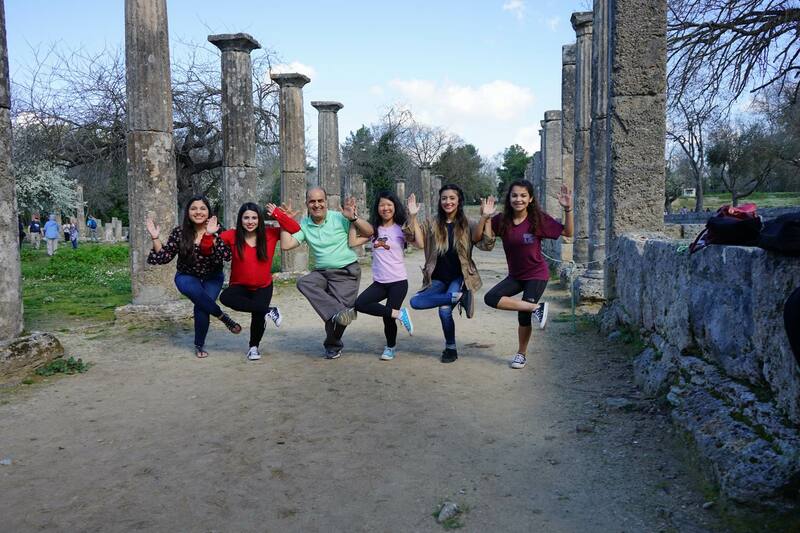 In this program, the group will travel across the landmarks of Greece, seeing seven of 18 UNESCO heritage sites of Greece. Some places visited have included Athens, Corinth, Epidaurus, Nafplio, Mycenae, Olympia, Meteora and Delphi. This trip is designed to understand one of the most important civilizations in the world as it pertains to Western culture. Some of the major influences the program will discuss include sports, government, religion, medicine, education, art and more. This trip will cover all travel fees within Greece, hotel fees, a licensed tour guide, admission to sites, two meals daily, tax, parking and tips, plus orientation and administrative costs. Those who take the trip must register at www.tjc.edu/greece and click the registration link for the package they desire. Each package cost varies, but require a $590 deposit including airfare costs. For any additional questions and information, contact Dr. M.R. Khosrowshahi at mkho@tjc.edu or call 903-510-2279. Seems like a very fun trip with many good opportunities.